Reserved until April 22 ? 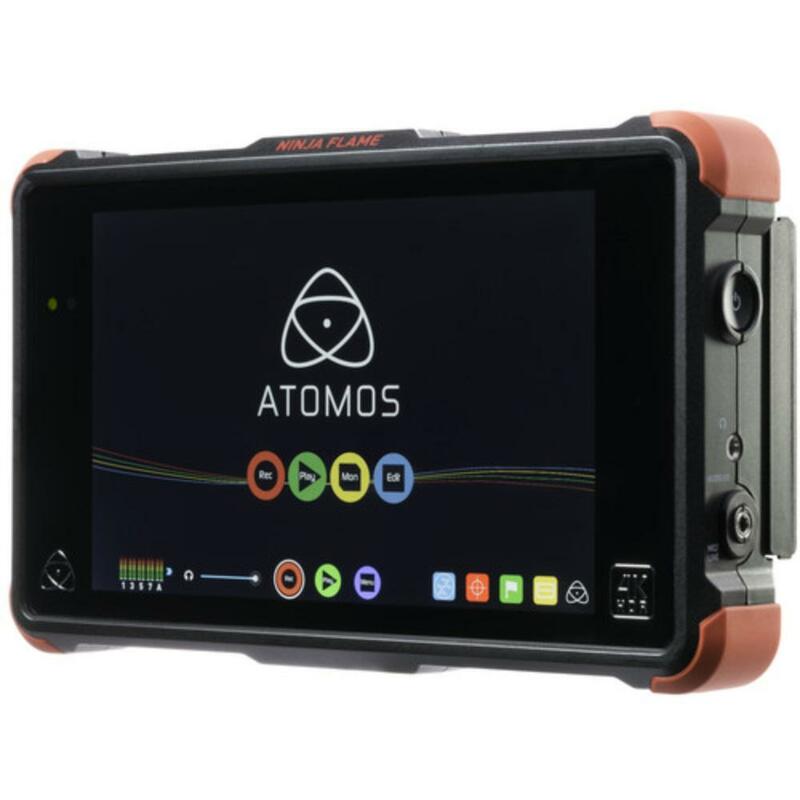 The Atomos Ninja Flame 7" 4K HDMI Recording Monitor has the brightness and dynamic range to show all the detail of HDR Log to avoid that monitor "washed out" look that makes judging exposure difficult for filmmakers. 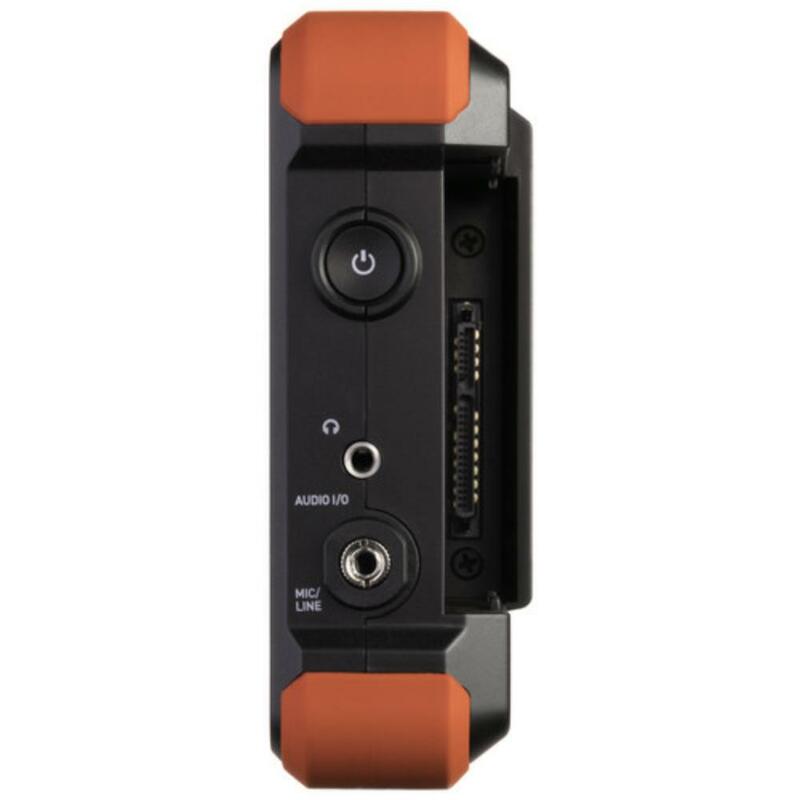 In addition to HDR monitoring, the Ninja Flame offers a High Bright Mode for traditional monitoring. This mode takes advantage of the full 1500 cd/m² brightness to allow for more confident monitoring in bright outdoor environments, even without a sun hood. You also have the option to calibrate to taste and overcome LCD color shifting. Monitor up to 8 channels of HDMI audio with dedicated audio meters, including gain adjustment. Convert interlace video from your camera to progressive on the fly with built-in 3:2 and 2:2 pulldown and gain advanced functionality like Pre-roll (continuous cache recording so you never miss the action) and time-lapse to maximize your creativity. Built to withstand the rigors of production, the Ninja Flame sports built-in protective armor that features silicone-covered corners. The dual L-Series battery plates allow hot-swapping for (2) batteries. Only 1 is included but spares are rentable separately. See the Notes tab for more info on power options. This monitor is ideal for 4K shooters of all subjects and is especially suited for recording with HDMI-equipped DSLR and mirrorless cameras. 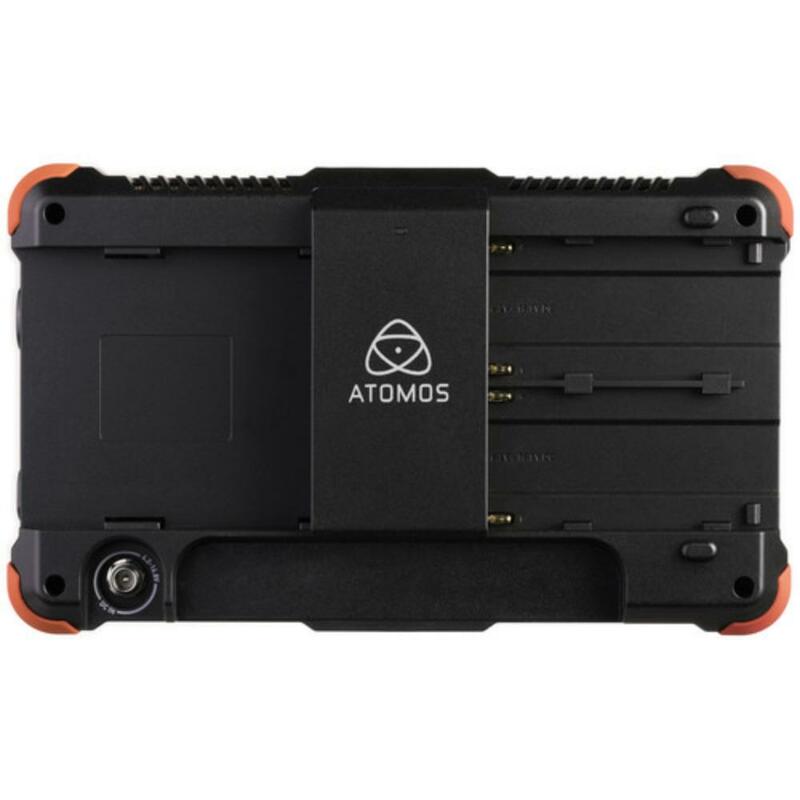 • Accepts 2.5" SSDs, which are not included. See a full list of recommended drives here (scroll to the bottom where it says "Supported Media" and choose Ninja Flame from dropdown). 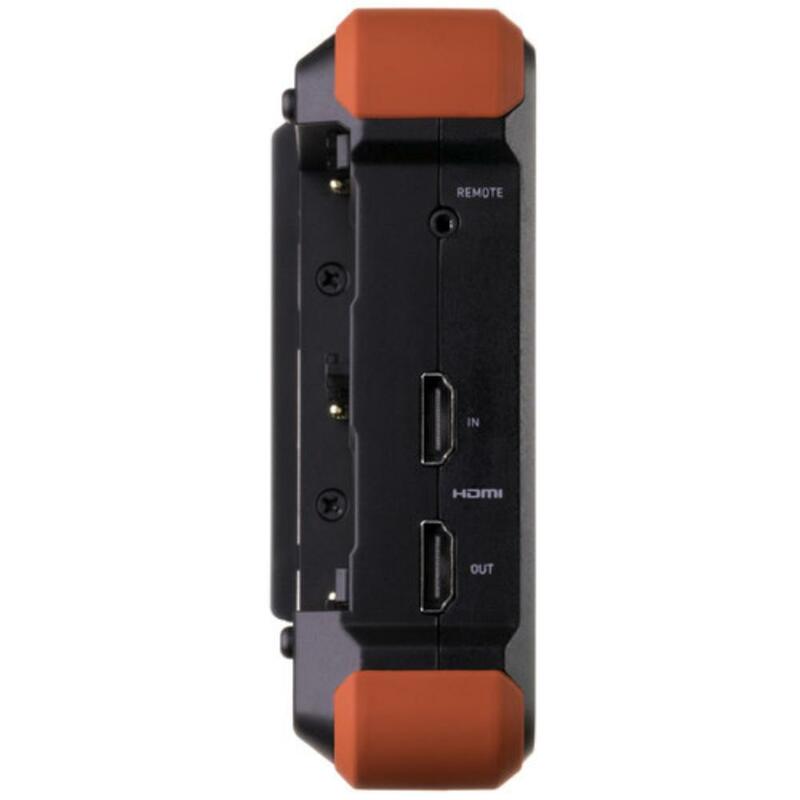 • This recording monitor is HDMI only. 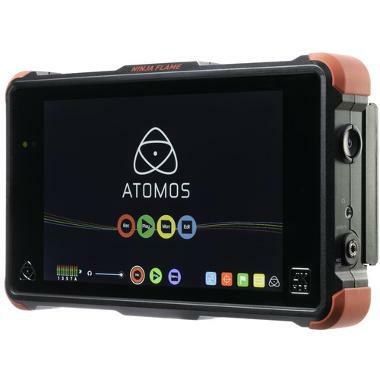 If you need to get 4K through SDI, please see the Atomos Shogun Inferno 7" 4K Recording Monitor. • A D-Tap/P-Tap cable is included for attaching an external power source but broadcast-style batteries are not included. If you opt to use an outside power source, note that the output of the power source should not exceed 16.8V DC (12 or 14V is ideal). When using the included D-Tap/P-Tap cable and an external power source, any other attached batteries are overridden. Keep your included NP-F970 battery attached, however, since the Flame will switch over to it automatically if your external source depletes.